York Lo: I-Feng and Freezinhot first caught my attention when I stared up at the third floor exterior of the infamous Chung King Mansion on Nathan Road and spotted the corporate signages. It turns out that I-Feng, which dissolved in 2001 according to Companies Registry record did have its head office in Chung King Mansion. And then I got even more intrigued when I read Gene Gleason’s 1963 book about Hong Kong where he mentioned about the three leading Shanghainese industrialists who were known as the three Ts of Hong Kong industries – the first two being HC Ting of Kader Industrial and PY Tang of South Sea Textiles, which both have an entry in the Dictionary of HK Biography and the third being John Chi-ying Tung (董之英, 1914-1986) of I-Feng Enamelling. John Tung and his wife Chang Yaw-in did not have any children (although he has many nieces and nephews and a number of brothers who were involved in business with him) and left their entire fortune to various charities across Asia – making him probably the least known but most benevolent industrialist in HK history. Tung was a man with foresight – he and a number of Shanghainese businessmen were major investors in Africa (particularly Nigeria) longtime before they were the hot “frontier market” today and most of I-Feng’s products were shipped to Africa. (I have always wondered if Tung was the reason why many Africans came to Chung King Mansion in HK but I checked with Gordon Matthews the author of the popular book about Chung King Mansion and he was not aware of the connection – also the developer of the building was a Filipino Chinese businessman named Jaime Chua Tiampo and not Tung). Aside from I-Feng and Freezinhot, he also had interests in alumimum extrusion in HK, textiles and silicon wafer manufacturing in Taiwan, computer hardware in Silicon Valley and even invested in a venture in the US to make tofu cream cheese. The famous lawyer Robert Wang (the one who put together the tycoon syndicate that developed Suntec City in Singapore) who was a dear friend of Mr and Mrs Tung (and who facilitated the donation of the library in Singapore) gave a more personal account of John in his memoir “Walking the Tycoon’s Rope” and it is tragic to learn this very shrewd businessman lost his sanity towards the end of his life. The most prominent display of his philanthropy in HK is the Yan Chai Hospital Tung Chi Ying Memorial Secondary School (founded in 1994) which carried his name but that is just the tip of the iceberg. He was a co-founder of Yan Chai Hospital itself and also served on the board of Pok Oi Hospital in Yuen Long and Tung Wah Group of Hospitals. 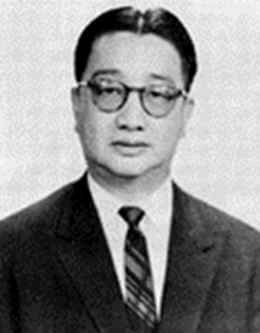 Tung Wah would proved to be his biggest beneficiary as his widow Chang Yaw-in who inherited his fortune in 1986 would bequeath her entire estate to Tung Wah when she died in 2006 – the exact amount was not disclosed but it was at least in the tens of millions if not hundreds of millions. Another major beneficiary from John Tung’s generosity was New Asia College of Chinese University, which Tung served as the chairman between 1965-67. The prominent historian Chien Mu (錢穆), who was the founder of New Asia, recalled how Tung always came to the school’s rescue since its inception whenever money was tight and never asked for any recognition. The famous painter Johnson Chow (周士心) also benefited from Mr. Tung’s kindness and was hired as artistic director of I-Feng so that he had steady income to support his more artistic work – even after he left I-Feng, Tung sponsored many of Chow’s shows. In Taiwan, John Tung’s name is synonymous with the anti-smoking movement. In 1984, he donated US$3.5 mil to establish the John Tung Foundation which has since became the pre-eminent anti-smoking advocacy group on the island. The foundation’s founder David Yen (hailed from another prominent Shanghainese industrialist family which started the Yulon Motors Co in Taiwan) as a lawyer had helped Tung solved some problems and when Tung wanted to give him money as a reward, he directed Tung to contribute money to start the anti-smoking foundation instead.